Another month has flown by, can you believe it?! Southern In-Law is not even a month old and so much has happened already. One of the best things about having a blog is that it acts as sort of an online journal and you can look back on your posts to see what you were doing at any given time. So lets recap June! I started Southern In-Law! After blogging at ksayerphotography for a few years, I decided I needed a fresh new blog about my life as a whole and Southern In-Law was born! This month I committed to saying yes more and went for an interview for a new nannying job. Saying yes paid off and I got the job! I haven't started yet but I'm excited to! The most viewed post for June was the story of how Jesse and I met. I've also received emails/comments from people wanting to know more about us, but I'm not sure what to post! Let me know what you'd like to know about us! I'm happy to post on almost anything and I'd love to share what you're wanting to hear! I have no questions as to why my Double Chocolate Brownies were the most viewed recipe this month as it's one of my personal favourite recipes. Firstly, how can you go wrong with brownies? 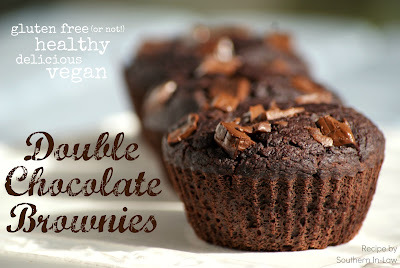 The fact that they're healthy, gluten free, vegan and low fat just makes them even better! No one ever believes me when I tell them they're made without eggs, oil or butter. 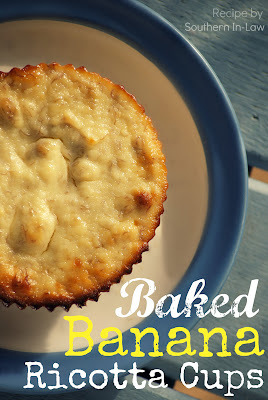 My favourite recipe this month is my Baked Banana Ricotta Cups - I'm having to triple the batches because I am loving them for a warm winter dessert! This recipe came in at a very close second to the brownies! So tell me, what would YOU like to see in July? and I'd love to know what you'd like to know about Jesse and I! I love recipe posts the most. And the brownies are out of this world!!! I wish I brought one to work with me.